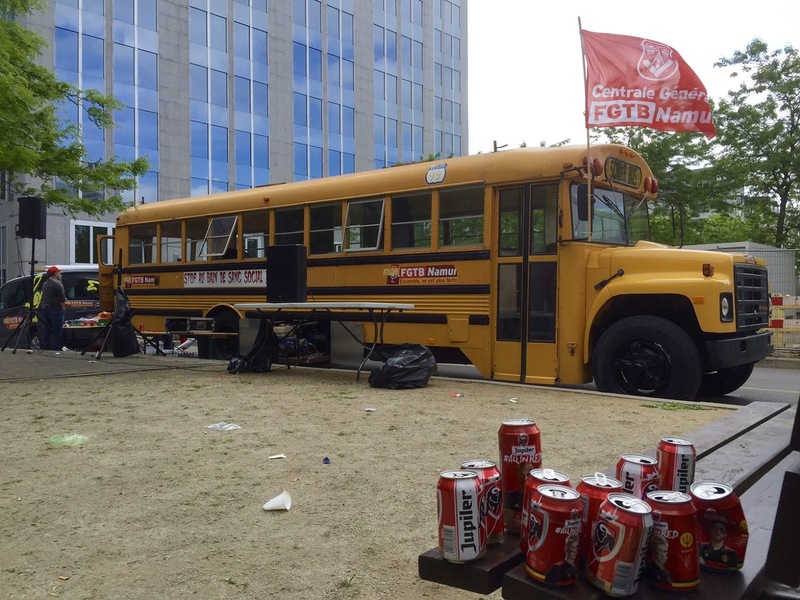 An American school bus used to bring union members to Brussels this week during the national rally. There were thousands of marchers and, as you can see, they like their beer. The train strikes this week also slowed down travel quite a bit around the country, and it looks like they will continue into next week. Even the teachers at my daughters school are striking on Tuesday. Well guys, skol!